France is deploying 10,000 troops to boost security at "sensitive" sites following last week's deadly terror attacks in Paris. Defense Minister Jean-Yves Le Drian told reporters on Monday that the troops will be in place by Tuesday evening. 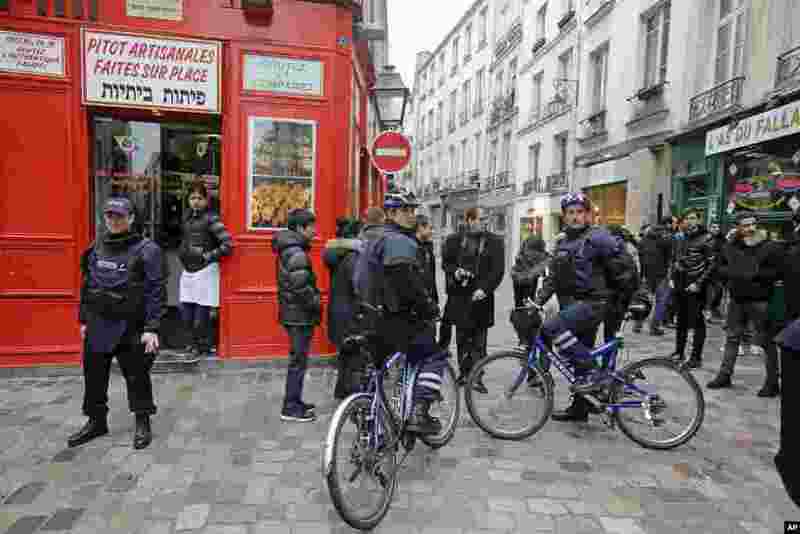 1 Police officers on bicycles patrol Rue des Rosiers in the heart of the Paris Jewish quarter, Jan. 12, 2015. 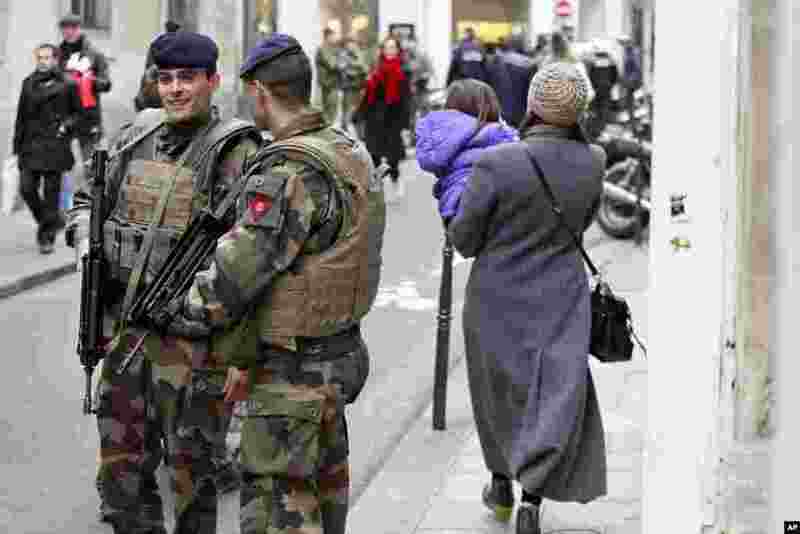 2 French army soldiers patrol Rue des Rosiers in the heart of the Paris Jewish quarter, Jan. 12, 2015. 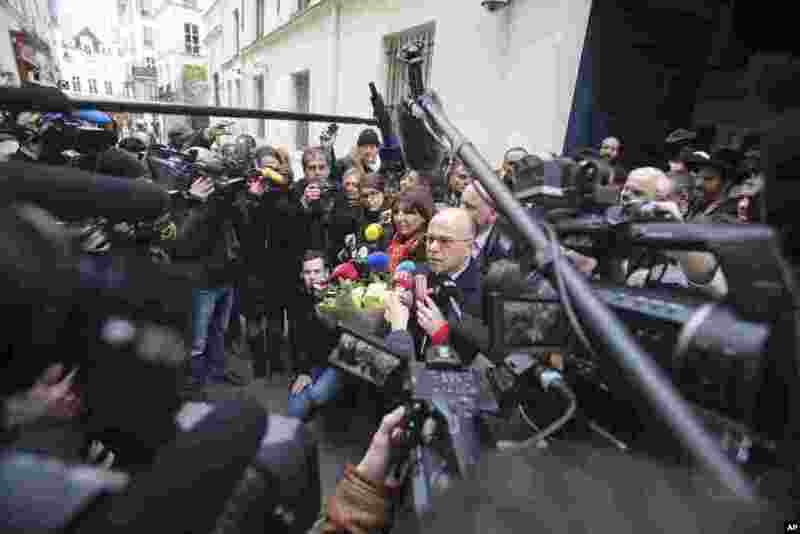 3 French Interior Minister Bernard Cazeneuve and Paris Mayor Anne Hidalgo address reporters after visiting the Jewish school of the Rue Pavee, in the heart of the Paris Jewish quarter, Jan. 12, 2015. 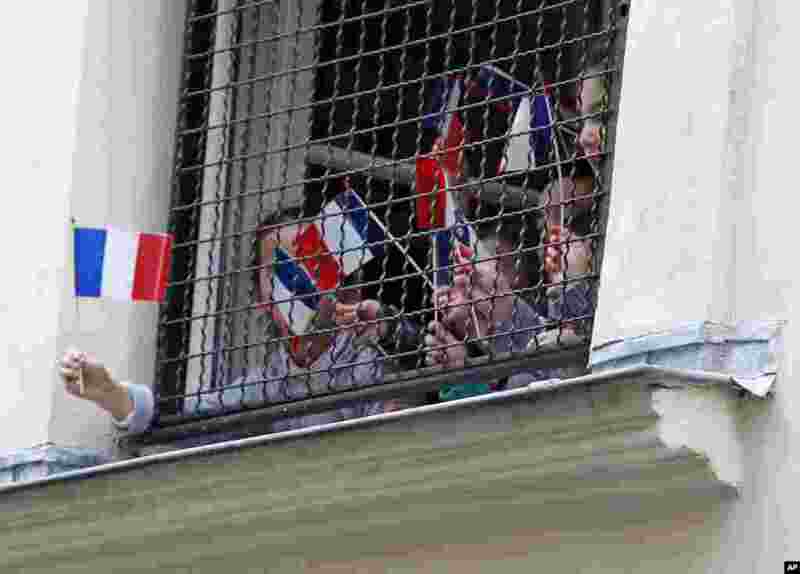 4 Children wave French flags from a window of the Jewish school of the Rue Pave in the heart of the Paris Jewish quarter, during a visit of French interior minister Bernard Cazeneuve, Jan. 12, 2015.